Did you know that black raspberries are having a moment in medical research? Multiple studies have shown that black raspberries have unique aspects that make them good little cancer-fighters. Cervical cancer cells died when exposed to black raspberry in the lab. Neuroendocrine tumors in the lab didn’t grow blood vessels as well when black raspberry extract (raspberry powder plus water) was applied. The extract even made anti-blood vessel drugs that cancer patients often take work better. Black raspberry seed compounds have shown anti-cancer activity against colon cancer cells in the lab. In people with Barrett’s esophagus, a pre-cancer condition, taking the equivalent of two cups of raspberries per day in the form of powder resulted in increased detoxification activity in the pre-cancerous cells. This means black raspberries may inhibit progression from Barrett’s to esophageal cancer. 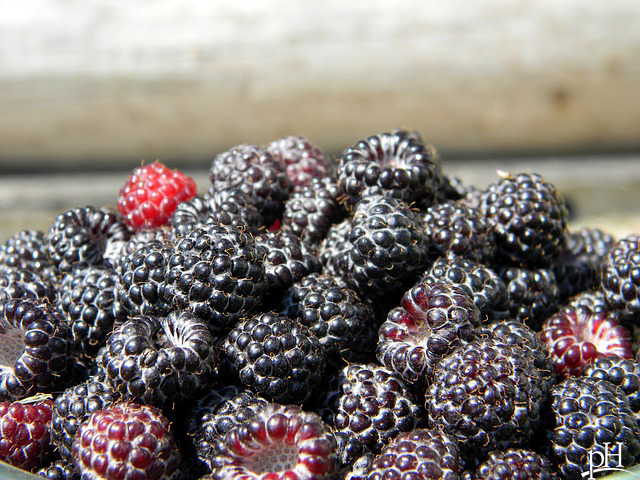 In mice, black raspberry prevented esophageal cancer. This begs the question, why do black raspberries fight cancer? Will you eat more black raspberries? Colorful fruits and vegetables are a great addition to any diet. This should give you some incentive to favor black raspberries. In particular, people at high risk of cancer (people who have smoked or who have a family history of cancer) could consider adding the fruit to their diets.